Heal your Mind. Heal you Lilfe. 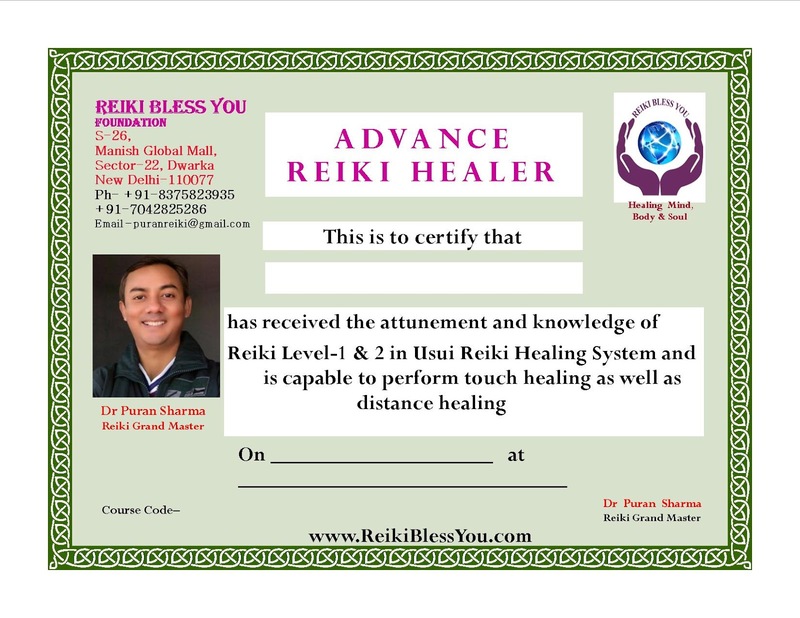 It includes Reiki Level 1 & 2 which is taught in one day extensive workshop and it is practiced for next 30 days under the direct guidance of our panel of Reiki Grand Masters. This course is specially designed for the people who want to change their lives for good and take full control of it. After going through this course a participant is able to heal himself and others with touch of his hands or heal without touching as well. A participant is given a manual for each level of Reiki and all the audio/video guidance in a DVD. Each participant is also given a workbook which is specially designed to let the participant practice all the self development and energy enhancement techniques easily and comfortably. Participant is given a Certificate from the Institute only after the declaration by the participants that they are satisfied with the course and the result therein. 24X7 guidance is given to each participants for maximum benefits. Touch Healing to anybody, anything, plant or animals. Distance healing for not only physical ailments but also for mental, emotional and spiritual problems. Anybody who wants to see the world with different perspective. Those who want to take total control of their lives. Those who don't want to depend on fate. Those who are tired of taking medicines and tried of illnesses. Anybody who is willing to learn the art of health, wealth and happiness. Anybody above the age of 10 years of age can learn it. No pre-requisites required for the course. Only willingness to learn and practice the most user friendly way of understanding the unknown. Nothing. Just empty your head and come to take away the most easy and user friendly way of keeping yourself and your beloved ones tension free, negative free, disease free and obtain the ultimate goals of life and that is Health, Wealth and Happiness through your own healing hands and your pure intention to keep yourself happy and contented. Specially designed Workbook for practicing all the techniques for 30 days. Free guidance to help the participant practice the Reiki Healing and even open up a Healing Clinic. Many people believe when you are ready to embrace the principles of Reiki you will be guided to a teacher. I personally believe that Reiki with its infinite wisdom and unconditional love seeks out the person when they need it most. This is true of my own experience and introduction to Reiki. It was back in year 1999 when I started searching for a teacher who could teach me Reiki as I heard about it much earlier. In the year 2000, I took my first attunement from Reiki Grand Master Mr Madabushi Subramanium at New Delhi. But because of lack of guidance and encouragement, I lost interest in it and didn’t practice it for almost a year. And in year 2002, I again came in contact with an association called Reiki Healing Trust, I again took 1st Degree attunement. This time I started doing some healings. But miracle only happened when I found a Reiki Grand Master Couple (Dr. N K Sharma and Dr. Savita Sharma-Guruji and Guruma), very profound teachers from New Delhi. 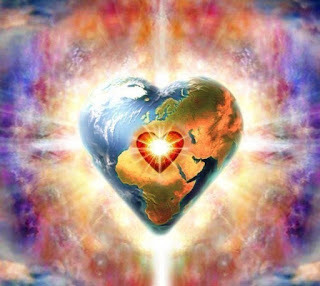 They run the world’s largest Reiki organization called Reiki Healing Foundation (RHF). I took attunement from them in 2002 and never looked back. I got everything when I took Reiki lessons from RHF. Now, I have myself become Reiki Grand Master and I teach Reiki to the world. All credit goes to Guruji and Guruma. Today I not only give healing in person and in absence but also teach Reiki from level 1 to Master level. I teach both in person and in absence also for which I have developed a distance learning course so that people from the world can learn Reiki from me and that too from their place of residence. First Degree is taught in one day workshop and is structured on ground work for treating oneself as well as another with the Reiki energy. It includes four fine tuning amplifications which are performed by the Reiki Master. Four initiations activate and amplify the student's energy field allowing him to transmit the higher frequency Reiki energies. Instruction; on hands-on is given for performing a treatment on oneself and on others, Chakra and chakra balancing, how to see Aura and aura scanning by hands(Self and others, water charging and science of water crystal, high (Reiki) energy food for ultimate longevity, immunity & rapid rejuvenation, etc. Second Degree incorporates the use of the Tibetan symbols Usui discovered. The course includes the direct use of the symbols for performing distant Reiki energy transmission for healing. After this attunement, a client is need not be present with the healer as the energy now can be sent through time and space. These symbols produce remarkable results. Students deepen their confidence and intuitive skills during this one day course. Instruction and practice sessions are conducted to allow each student to work at a deep inner dimensional level. Four more fine attunements are given allowing the student to work with the symbols and their formulations with more power. It is also a one day course. In 3rd Degree the student is given Masters Attunement. He is taught Psychic surgery, Healing through crystal grid, Alpha meditaion, Goal Achievement, Chakra cleansing & Protection, Master symbol and Tibetan healing symbols. Details are given in the Reiki Syllabus section of the web page. In this level, you learn to draw and use the Master Symbol and also learn to give attunements to the new seekers. After this level you can take Reiki Classes for Reiki Level 1 to 3. In this level you learn the highest healing technique and the attunement procedure of Reiki Level 1 to Grand Master Level. After this level you will be able to take Reiki classes from Reiki level 1 to Reiki Grand Master Level. "The best way to understand how Reiki works is to experience it". NOTE - For detailed information on the syllabus of all levels, please visit "Course Syllabus" section. It has been more than a month since these attunements and I am writing to say thank you. I did not feel there was a need for this on the day you did them as I am aware of the connection between us and knew you felt my appreciation at that time. My follow up at this time is to let you know that since then I have felt a much stronger growth in my Reiki abilities and have become a stronger individual because of them. One specific thing I can relate is I have been able to totally remove the need for anti depressants in my life and am able to consider myself a much calmer person. My next personal challenge is to utilize self healing to take better control of my anger which sometimes causes a problem for me. After learning Reiki 1st Level, when I started initial 21 days self healing sessions, in a few days I started feeling calm and good about me. Next problem which was bothering me was my loss of hairs. I started giving Reiki for this and within two months of treatment, I started seeing the evidence of new hairs on my head. I also feel the Reiki 2nd Level attunement has opened spiritual channels that are going to be taking me on a new path toward further enlightenment through my studies. Now I feel that life has taken new meaning and is definitely on a new path. 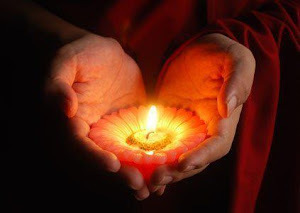 "Master is sincere and took enough care in training Reiki, even as on date I am in constant touch with him for all my queries and inquisitions whenever appears. I get a positive and prompt responses. " "I am extremely thankful and blessed to have taken up the Reiki course. It has been a wonderful journey throughout the course , experiencing and understanding the world of energy. It has helped me strengthen my physical body and coached me to rise emotionally and spiritually. Thanks to my Guru Dr.Puran Sharma for guiding and supporting me all the way. He has always been there to patiently answer and guide at every concern. Thank you Dr.Puran again and May Reiki bless you. " attunement.Dr.Puran Sharma is an excellent guru.His simplicity,humbleness and simple language made the course easier to understand and master the course.After the Karuna reiki attunement,love and compassion towards everything,living and non living has increased. My aura has become more positive.It has enhanced my healing powers and helped me in my allopathic practice. Most important change is it has removed the negativity in me and made me positive and forgiving to people against me.It has taught me to convert negative situations to positive situations by way of my perception.And it is here where the success of this course lies. I owe all this to my Guru Dr.Puran Sharma. Thank you Dr.Puran Sharma for being my guru in the real sense and making my life beautiful and making me add value to my services. A big thanks to UrbanPro for providing a platform for such wonderful courses by such wonderful teachers. " "I would like to share few things with you. Year back I had been attenuated by a master in Bangalore at basic level 1 and 2 and they asked us to practice for 21 days. There afterwards no communication from them regarding progress and concern to address if any issues facing during our initial practice of Reiki. I did practice for few days and later stopped it as I was not getting proper guidance and motivation from Guru. After a year so I started facing turbulence in my life both in personal and professional life. I was feeling very low all the time and guilty for things that have happened in my life, cursing myself all the time, left alone and future was a big questioned for me how could I lead my life? I could able to gather courage and started to practice yoga, meditation and other stuff on my own to get rid of baggage with the help of OLD LADY (GOOGLE.com) as she was a healer that time as she has always have solutions for every other question. I came across Reiki again through Dr. N K Sharma videos in You-tube. Then I understood whatever information was given to us earlier on Reiki was very less and decided to explore hoping it could help. Then I found my online guru Dr. Puran Sharma. Level 1 &2: I could feel the energy flowing through my hands and intense pressure on my temples as I started practicing it daily. I felt very good, relaxed but still worry was there. Then I had shared him my personal problem and he guided me so well by making awareness of the universal law (that is highest good for all concern) as Reiki always gives us pure love and compassion in our life that makes us receptor of only good relationships and material things. It was hard for me accept things but it’s how law of nature works. So practicing Reiki I found enhancement in my life. Level 3: It was awesome experience for me when I felt immense amount of energy flowing through my body and he is guided me in unleashing the great power of my subconscious mind. I have started working on psychic surgery now and guidance is amazing. He loves to interact and whenever we interact with him will come to know new things. He encourages us to try new things which could enhance our healing power. I could find myself as a more positive person now. Dr. Puran Sharma is an amazing guru, great healer and motivator. Thank you for being my guru. " "I learnt Reiki Level 1 and 2 from Reiki Bless You Foundation. The trainer Dr Puran Sharma is so good in his work that he makes sure that you learn to heal yourself and others in person as well as in distance. I am very satisfied from his teaching. He is the only master I found who teaches Reiki in one month and through out the course period he gives 100% guidance and clearfies all the questions asked by the student. I am satisfied with his teaching and recommend him for learning Reiki and Mind Power. " "I liked the way Puran sir taught about Reiki step by step in very simple way. The technique were very user friendly and easy to learn for every one from any background with any qualification. " Online Course. I got full support and guidance during one month course . After one month course I found myself changed in terms of behaviour and perspective of life. The course was very user friendly and continuous personal guidance from Dr Puran Sharma was very helpful . The course was very beneficial and result oriented. 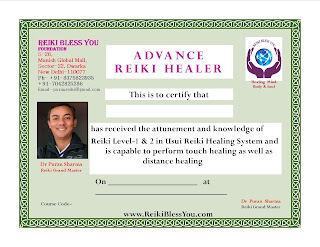 I am very happy with the course from Reiki Bless You Foundation. " "Dr. Puran Sharma is highly recommended and spiritual teacher for Reiki. He is master in his subject and participants in his classes are getting blessed. " "I learnt Reiki level 1 and 2 from Reiki Best You Academy on 02 November 2014 and healed my anxiety with in one month practice of healing. The teaching of Dr Puran Sharma was so impressive that I enrolled myself for Reiki 3rd Level also. His teachings are so simple that a child can understand. 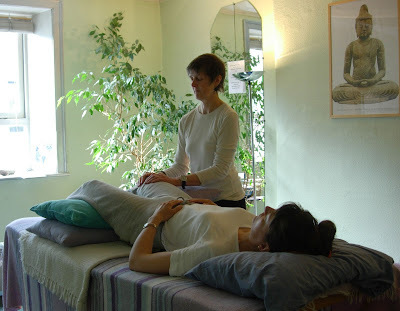 The Reiki practice he teaches are very user friendly. I will recommend all to learn Reiki from him. " "Great trainer Dr. Puran Sharma and I believe Reiki has definitely changed my attitude towards life and other important things. " "Dr.Puran Sharma is an excellent teacher.I am very satisfied with his teaching.Because his course was in depth and had lot of practical techniques,which is useful to me.His language is so simple that even a child can grasp easily.The best quality in him is he never gets tired of answering queries.I gained a lot by his practical techniques.The end result of this course of one month was I became a more better person and more positive person.I improved personally and also professionally.It was an awesome experience to learn this course from an awesome Reikimaster Dr.Puran Sharma.May God bless.May Reiki bless.Many thanks to your website for making this learning possible through Dr.Puran Sharma.Many thanks for making my life beautiful. " After learning Reiki 1st Level and 2nd Level (Basic & Advanced level) your psychic, intuitive and creative abilities will be raised by between 50 to 80 percent. By raising your vibratory level you will begin a transformational process on all the many levels and aspects of your life. the often negative and destructive external stimuli from our world. If applied regularly, Reiki will reduce the extreme highs and lows of life, gradually leading to a new balanced existence. DISCLAIMER - We as Reiki Healers never challenge the mainstream therapies, like Allopathy, Ayurveda, Homeopathy, etc. We respect each mainstream therapies. What we say is that we help patients to relax and energy level of the patient is treated. With this treatment the inner healing system is activated so that the person's healing ability is amplified and complete well being is established. We have no competition as such with medical science. We are independent healing system but we work with other therapies as well and in fact, we complement them. We are Reiki healers (Reiki Channels) not medical doctors. We don't prescribe anything. We help you to regain your confidence and make you positive in life, thus complementing the healing process. Reiki is an intelligent energy, so it does what it should do to heal certain ailments. Reiki works because it does. Experience the most unique, result oriented and user friendly Reiki Healing Technques. Contact +917042825286/ 8375823935 Email me at reikiblessyou@gmail.com. Reiki Bless You Foundation. All rights reserved. Picture Window theme. Powered by Blogger.